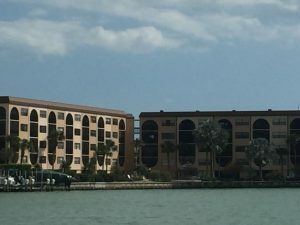 About Our Complex – WELCOME TO MAROONED ON MARCO ISLAND! Our condo is located on the northern end of the island. It is conveniently located in the desirable Anglers Cove Condominium Complex. Angler’s Cove is the funnest complex on the island. It’s great for kids bug and small! Everything you need is within walking distance or just a short drive. Do as much or as little as you like. With two heated pools, tennis courts, hot tubs, and an on-site tiki bar/restaurant, you don’t even have to leave the complex. Boat slips are also available for rent by the week or longer. Bike and boat rentals as well as charters and tours are right next door. The island provides you with great weather, shopping, restaurants, and beautiful beaches and sunsets.